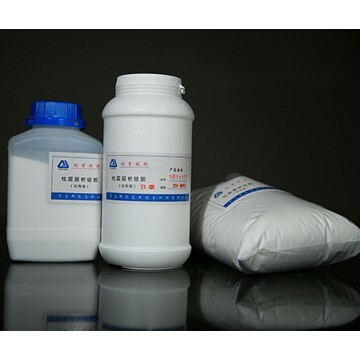 The product is a kind of strong polarity solid adsorbent, which is chemically stable, uniformly distributed in pore size, and strong in carrying capacity. Its main component is silicon dioxide. The product is processed and prepared from quality silica gel that has a uniform pore structure. Because the duration of different material components adsorbed on this silica gel is different, it can be used to separate and purify the mixed components.